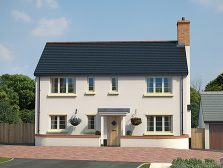 A delightful NEW range of two, three and four bedroom homes, located on the edge of Chulmleigh - a picturesque town in rural North Devon. 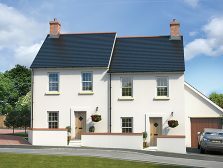 The Ladywell Meadows development offers an assortment of detached, semi-detached and terraced FREEHOLD houses for sale in North Devon. 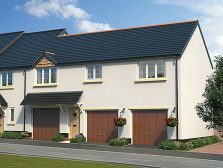 Furnished with truly stunning, modern bathrooms and kitchens, these properties are a spectacular example of new build brilliance on offer in Devon. Our first phase, Ladywell Meadows, included a dwelling built with the traditional, quintessentially West Country, thatched-roof, typical of this area. Pastel colours, wooden paneling and feature door framing have given Ladywell Meadows a natural and tasteful beauty. 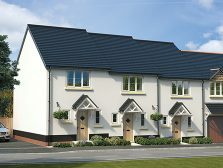 The second phase, now FOR SALE, continues with some of these popular designs and also a range of parking preferences are available, including private garages, driveways, courtyard and on-street spaces depending on your choice of property. 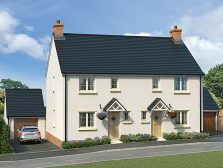 Our Ladywell Meadows homes, in their variety and quality, are currently some of the most exciting houses for sale in North Devon. Our new street is called GREAT VIEW, EX18 7JL. 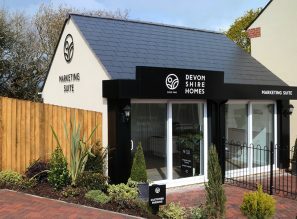 So if you’re thinking of moving to Chulmleigh, come along and visit our marketing suite and SHOW HOME NOW OPEN and set your housing plans in motion. These houses are under construction, and are selling well, so hurry and benefit from the full range of choices available. 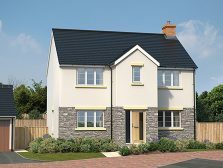 The Government Help-to-Buy Scheme and our successful DevonshireMove Scheme are applicable for these properties (subject to terms and conditions). 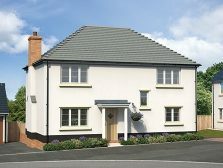 The 3 bedroom Marshall style Show Home is open from Thursday to Monday inclusive, 10am to 5pm. Make your next move in 2019 to Ladywell Meadows! Chulmleigh is a Saxon hilltop town, located midway between the beautiful national parks of Dartmoor and Exmoor. A town of thatched cottages, welcoming inns and one of the finest churches in the country, Chulmleigh is situated in a stunning Conservation Area. Local amenities include a primary and secondary school, library, sports centre and a range of shops. Chulmleigh is conveniently linked to Exeter and Barnstaple by the main A377 and the Tarka Line, one of Britain’s most scenic railways. The town hosts a variety of musical and theatrical events throughout the year. The local area also offers plenty of leisure pursuits including golf, cricket, horse riding, fishing, mountain biking and trail walking. 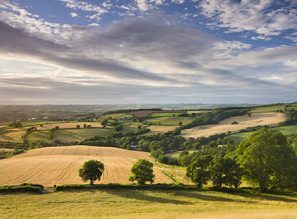 The 180-mile Tarka Trail starts in nearby Eggesford Forest and a number of historic houses, gardens and visitor attractions are within easy reach.